Managing diabetes can be as basic as making sure that your blood sugar level does not go beyond what is considered normal. There are many ways of making this happen but diet plays an extremely important role. 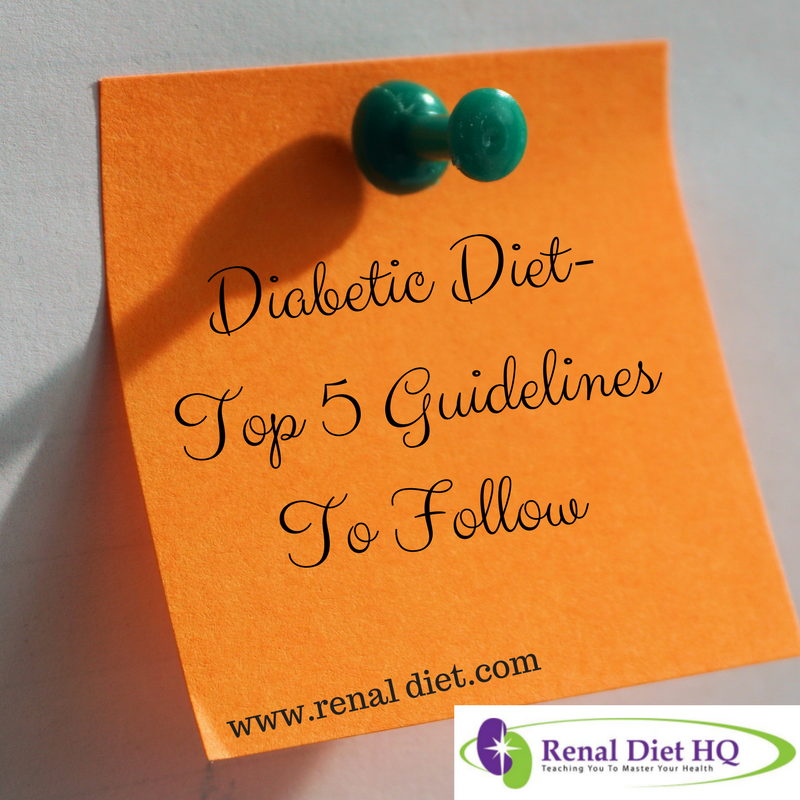 A diabetic diet is an important part of the process of maintaining glucose levels. This is a diet where a person makes deliberate choices regarding what, when and how they are going to eat. These are carbohydrates that are rich in fiber and they therefore assist the patient’s body in the proper maintenance of glucose levels as well as optimal weight. Your diet should mainly consist of peas, beans, whole grain breads, white rice, barley and oats. Omega-3 fatty acids are very essential because they enhance the body’s sensitivity to insulin. Among the best sources of omega 3 fatty acids are walnuts, flaxseeds, flaxseed oil, trout, sardines, herring and salmon. You need to eat poultry and fish more regularly because of their high incidence of omega-3 fatty acids which are good in promoting overall health. If you are going to eat chicken and turkey you need to make sure that the skin is removed because it carries the greatest amount of cholesterol. You must avoid all kind of foods that are high in cholesterol and saturated fats in order to remove the risk of progressing to heart diseases and other complications. Some of the sources of this bad fat include hot dogs, hamburgers, bacon, pork, butter, cheese and margarine. You should also avoid egg yolks, high fat milk products, liver and shell fish among others. Always make sure that you eat three meals every day as well as three regular snacks in between the meals. The snacks should be taken mid-morning, mid-afternoon and just before you retire to bed. It is also important that your meals are taken at about the same hour every day. You need to write a food log where you will record what you will have eaten and how it affects your blood sugar levels. Within a short time you will have known what you can be eating as well as what you will need to avoid. Knowing portion sizes is important for diabetics since it is important for them to keep a tab on the glucose levels so as to avoid tilting the balance. There needs to be a good balance between a person’s medication, activity level and food portion sizes. You want to avoid any complications that could arise as a result inappropriate food portions. Your portions sizes are therefore dependent especially on weight and personal meal plan but a dietician will give proper advice. There are times when the food in a one serving is equivalent to the portion but at other times a portion could contain more food than a serving. This knowledge is what leads you to deciding how much food to put on your plate. For example, a portion of grains, fruits or starches is probably the size of a person’s fist whereas a portion of vegetables could what can fit in both of your hands. Meat portions are perhaps the size of a palm and as thick as your small finger. A diabetic diet prevents you from gaining too much body weight and in the process you will reduce your chances of developing several heart diseases. If you are finding it hard to make the necessary food choices, you only need to remember that any small changes you make will have a positive impact to your life. To find our more about how to control and manage diabetic diets please sign up for my newsletter here on this page and you will receive a FREE Three Days of Dinner recipes of your diet choice! Diabetic Snacks—Diabetics Need Good Snacks Too!